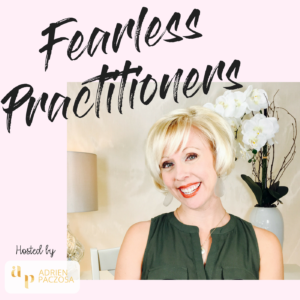 The theme is a podcast for all practitioners to take action in their practice daily.A place to learn, feel inspired and take action to start and grow your private practice. We hope to cover topics about the mindset of a business owner and helping professional, tools and tips that will be helpful, money, marketing. One of the things I hope to make this podcast different than others by- in each episode I would LOVE for the guest to give at least 1 action item the listens can realistically do to help them to get closer to their dream practice. Things that I have planned to cover, and please feel free to talk about what you are passionate about or what you feel can help others.